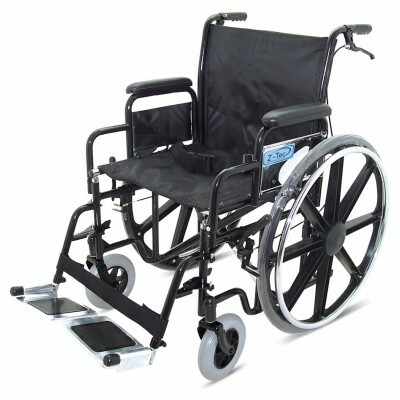 Another excellent heavy duty wheelchair for users up to a maximum weight of 150kg (23 stone). Robust steel frame with a double cross brace for extra strength. This model has a fixed backrest. It is available in two seat widths 20″ and 22″. Swing away removable aluminium footrests.